The Czar must get a message from Moscow to his brother the Arch Duke who is currently on the other side of Russia in the city of Irkutsk. 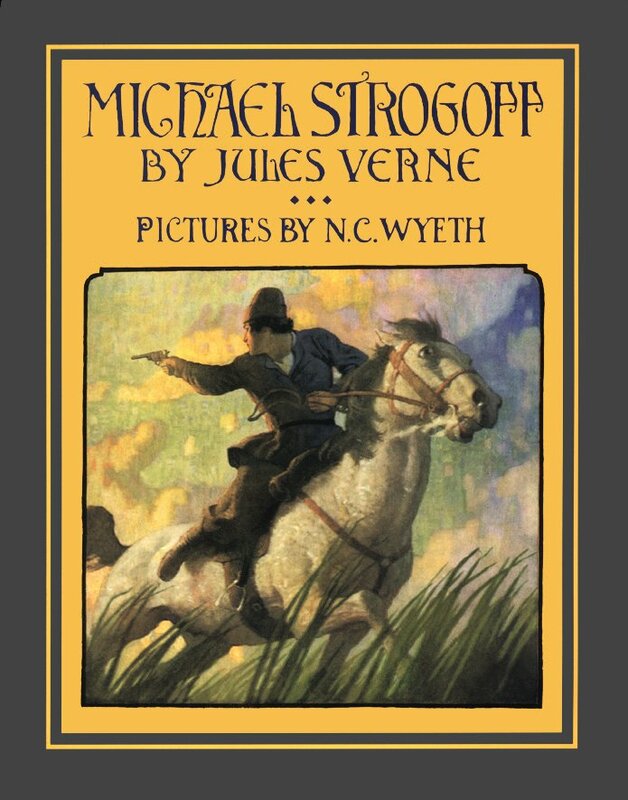 He calls upon his best courier, Captain Michel Strogoff, to secretly get the message across the Siberian frontier, which is currently being invaded by the Tartars, led by the Emir of Bokhara. The Czar warns Michael about the treachery of a Russian traitor named Ivan Ogareff, who is assisting with the invasion. During Michael’s journey he encounters a girl who is also traveling to Irkutsk, to be reunited with her father who’s living there in exile. He also meets two reporters, Harry Blount of The Daily Telegraph and Alcide Jolivet (who reports only to his “Cousin Madeleine”), who are covering the invasion. Translator: W.H.G. Kingston. Illustrator: N.C. Wyeth. New York, NY, Antheum, 1997. 416 pages, ?? ill. There are no known reviews by any of our members of this edition.